This is for a bulk lot of 36 elegant hanging lamp Victorian style cable lantern from Shopatusm. 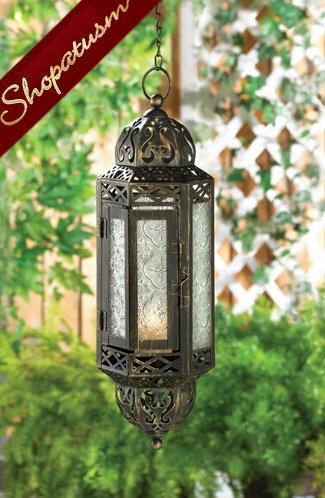 The blend of clear pressed glass with a decorative metal frame that features decorative cutouts makes this a stunning candle lantern. Hang it indoors or out to create a glimmering show of candlelight. Item Weight: 1.2 lbs. 4 inch x 4 1/2 inch x 13 inch high. Iron and glass. Candle not included.